Rheumatology: What Should I Expect When I See a Rheumatologist? A rheumatologist is a vital part of a rheumatoid arthritis (RA) patient’s healthcare team as he or she is the physician best able to diagnose the initial condition. The rheumatologist also recommends and prescribes the medical treatments needed to slow or possibly even stop the disease from progressing, helps the patient manage symptoms (such as joint pain, stiffness, fatigue, and fever), and monitors the patient on an ongoing basis. A rheumatologist is a physician or pediatrician who is trained in the area of rheumatology. This enables him or her to better diagnose, treat, and care for patients suffering from a variety of rheumatic diseases. Rheumatologists have experience in treating many different forms of arthritis—such as RA, osteoarthritis, and psoriatic arthritis—with a specialty focused on musculoskeletal diseases and systemic autoimmune conditions that affect the joints, bones, and muscles. RA is a complex connective tissue disease, making it difficult to diagnose in its early stages. Additionally, it can easily be confused with other conditions which have similar symptoms, such as lupus and Lyme disease. However, because of their advanced knowledge in this area, rheumatologists are often able to detect early signs of RA and other forms of arthritis that other doctors may not be able to initially identify. Obtaining a RA diagnosis may require several visits on your part, but once the rheumatologist identifies and analyzes your symptoms, he or she can better determine the exact diagnosis and treatment options most suitable for you, the patient. As physicians specializing in rheumatology (which Merriam-Webster defines as “a medical science dealing with rheumatic diseases”), rheumatologists are medical professionals who have first obtained a bachelor’s degree, then completed medical school, and, after that, gone on to perform their residency, training in internal medicine or, if at a child hospital, in pediatrics. Once their residency is completed, student rheumatologists must then undergo further specialized training through a rheumatology fellowship. This is usually an additional two to three year training period and is meant to provide a strong rheumatology foundation for the soon-to-be attending physician. After completion of their education and fellowship, the student must then pass a certification exam (which has to be retaken every ten years) to officially become a board certified rheumatologist. Once certified, the new rheumatology attending may begin offering treatment on their own. They may do this by opening an individual rheumatology practice, by joining other established rheumatology practitioners, or by working for a hospital which has a rheumatology division, such as Brigham and Women’s Hospital in Massachusetts or Detroit Medical Center’s Division of Pediatric Rheumatology, located in Michigan. Rheumatologists must also undergo annual continuing medical education courses and ongoing training to keep their skills and knowledge of rheumatologic diseases current and up to date. One of the main providers of these types of trainings and educational classes is the American College of Rheumatology. According to Medscape, salary for practicing rheumatologists averages around $234,000 annually. PayScale salary information places this rheumatology specialty’s median slightly lower, closer to $205,000. According to these numbers, the rheumatologist salary is quite a bit lower than some specialties, like those practicing in cardiology or obstetrics and gynecology, but a little higher than others, such as for the doctors who specialize in treating allergies or pediatrics. What do Rheumatologists Help With? Because they studied in rheumatology specifically, rheumatologists are the physicians best able to diagnose a variety of rheumatic conditions (such as RA and osteoarthritis) by examining symptoms, performing medical tests, and asking specific questions of their patients. As part of this process, the rheumatologist must also rule out other conditions which have the same type of joint pain or fatigue as RA. Some that are similar, yet must be treated differently, are lupus, Lyme disease, and relapse polychondritis. Once a diagnosis of RA is confirmed, the rheumatologist recommends ongoing medical treatments and monitors the patient regularly. For patients with RA, rheumatologists assist with the treatment of its many symptoms, including joint pain, swelling and inflammation, stiffness, and deformities. Ultimately, a rheumatologist’s role in treating RA is to prevent joint damage or limit it as much as possible through aggressive, targeted treatments. They are also there to help improve the quality of life of their patients. Due to the complex and chronic nature of RA, rheumatologists must also look for any potential signs of complications that may arise because of the autoimmune condition. This includes monitoring for secondary health conditions which tend to be more common with RA patients, such as Sjogren’s syndrome and psoriatic arthritis. Rheumatologists may also choose to participate in ongoing studies and conduct clinical trials in rheumatology in order to contribute to the advancement of scientific discovery. Their focus may be on finding new and better treatments for RA or other rheumatic conditions, if not a cure. They also help to refine diagnostic criteria as we continue to learn more about and better understand the various musculoskeletal and autoimmune conditions like RA. In most cases, patients see a rheumatologist for treatment upon referral from their physician. In other words, physicians who are general practitioners generally refer their patients to rheumatologists when they suspect symptoms consistent with rheumatic diseases (such as chronic pain in the joints and fatigue) and want or need to confirm this diagnosis which is outside their normal realm or scope of expertise. For example, if a patient complains of ongoing and persistent muscle and joint pain that does not go away after just a few days, the physician may want to investigate as to whether or not there is an underlying rheumatic condition or some other issue going on, such as lupus or osteoarthritis. It is extremely important for patients to see a rheumatologist and be diagnosed as soon as possible since RA can be treated most effectively if treatment begins early on in the disease’s course. Patients also typically see a rheumatologist for support in providing the most appropriate and effective medications for their own unique condition. Of these, anti-inflammatory drugs are one of the most widely used non-surgical treatment options for relieving the pain associated with rheumatic diseases like RA. You’ll likely see your rheumatologist at a specialized outpatient facility, such as an office which houses other internal medicine providers, or possibly directly within the hospital in their division of rheumatology. If the patient is a minor, as in the case of JRA, the pediatric rheumatologist may be seen in a children’s hospital or pediatric office setting. When visiting the rheumatologist, initially you will work with him or her to determine the diagnosis and/or severity of your rheumatology based condition. To do this, the rheumatologist will likely perform a full physical examination, ask many questions about the pain you have in your joints and other symptoms you may be experiencing, and learn more about your family and personal medical background. The results of these tests will help the rheumatologist make a final diagnosis and determine whether or not you have RA, some other type of rheumatic disease, another autoimmune disease (such as psoriatic arthritis, systemic lupus erythematosus, or Lyme disease), or if there is another possible reason for the pain-based symptoms in your joints. If you are diagnosed with RA, you will be placed on a treatment plan that addresses your unique case of RA. The treatment is based largely on how far the disease has progressed at the time of diagnosis. Again, early detection with RA is critical as the sooner it is found, the easier it is to treat. After your rheumatology diagnosis and the creation of your initial treatment plan, you will need to see your rheumatologist regularly as part of your overall treatment strategy. Because of the nature of rheumatology-based conditions, rheumatologists are responsible for assessing their patients on an ongoing basis to monitor the disease’s progress as well as to ensure that patients are responding well to their prescribed medications. 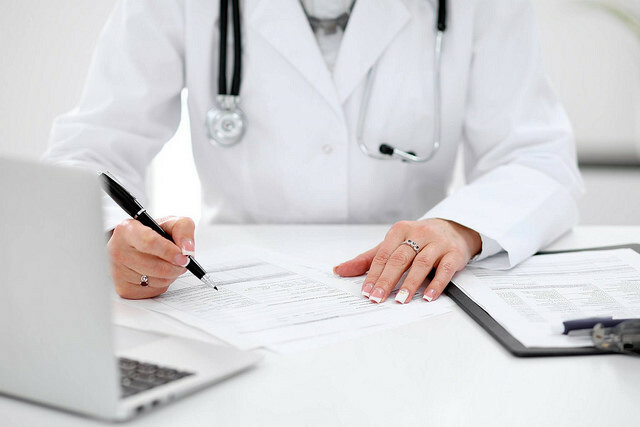 As part of working with a rheumatologist, you will be provided with a personalized treatment plan that addresses your unique case of RA. This treatment plan can vary from person to person and depends greatly on your individual age, gender, family background, and personal medical history, as well as the amount of musculoskeletal pain and other symptoms that you’re experiencing. Rheumatologists provide ongoing support to patients and make recommendations as to which drug types to try (or switch to if the current course of treatment is not working), therapies to pursue, and other specialists to see for even more support in managing daily symptoms and staying healthy. If your health condition goes beyond RA to include the addition of other diseases, this factor must be taken into consideration as well. RA is a serious and chronic disease that currently has no known cure. Therefore, it’s important to understand your condition as best as possible so you can take charge of your personal health. Don’t be afraid to ask your rheumatologist lots of questions about your symptoms, your disease’s progress, and the medications typically used to treat RA (like NSAIDs, corticosteroids, and disease-modifying antirheumatic drugs). It’s important to address any concerns you may have about your overall condition and/or the medications you are taking. The more you know about your RA, the better decisions you can make about which treatment is right for you. And the better decisions you can make, the higher your quality of life will be. So ask your rheumatologist whatever it is you want to know. The only stupid question is the one you don’t ask.